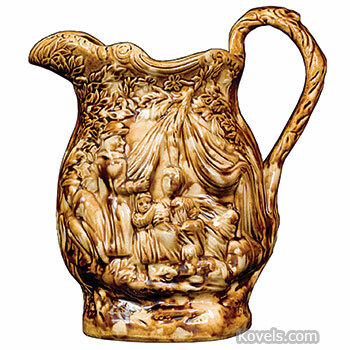 Pottery and porcelain are different. 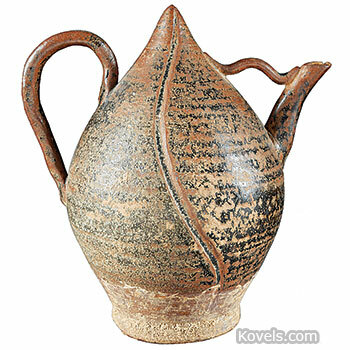 Pottery is opaque; you can't see through it. 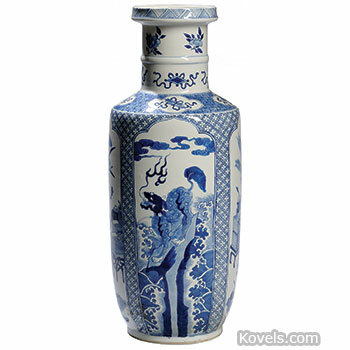 Porcelain is translucent. 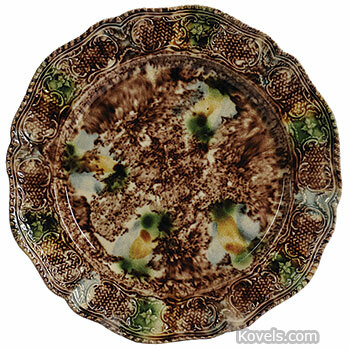 If you hold a porcelain dish in front of a strong light, you will see the light through the dish. 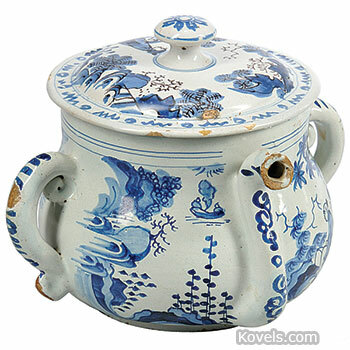 Porcelain is colder to the touch. 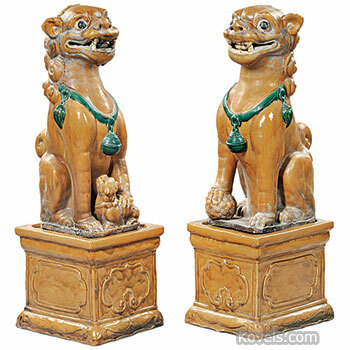 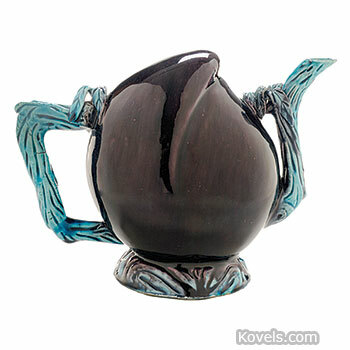 Pottery is softer and easier to break and will stain more easily because it is porous. 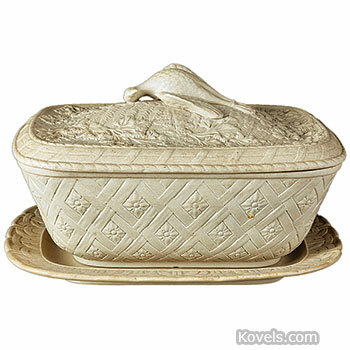 Porcelain is thinner, lighter, and more durable. 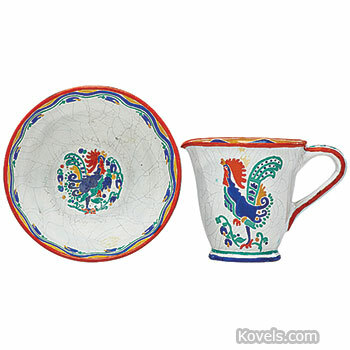 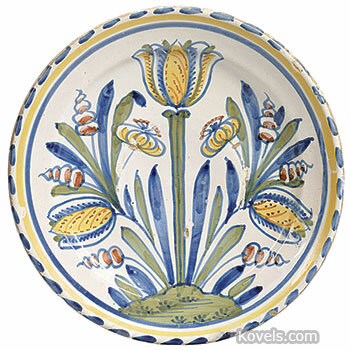 Majolica, faience, and stoneware are all pottery. 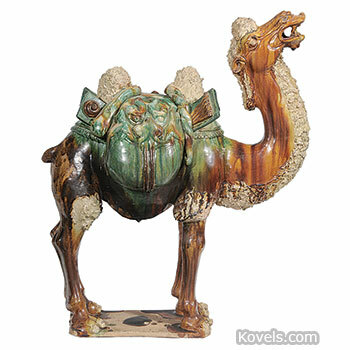 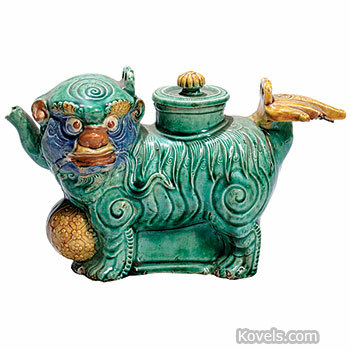 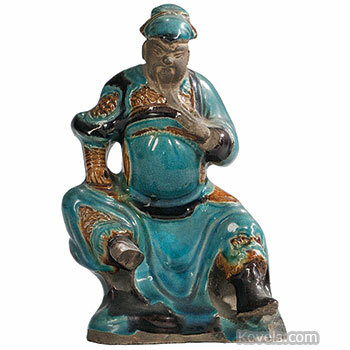 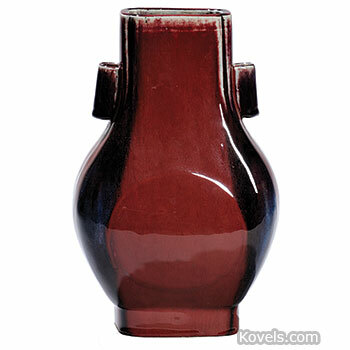 There are three types of pottery: earthenware, stoneware, and china clay. 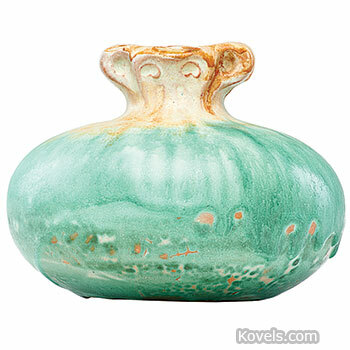 Additional pieces of pottery are listed in the categories Pottery-Art, Pottery-Contemporary, Pottery-Midcentury, and under the factory name. 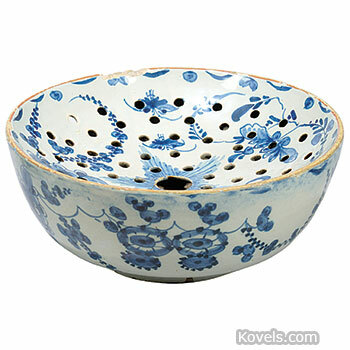 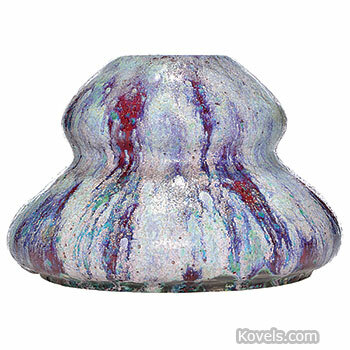 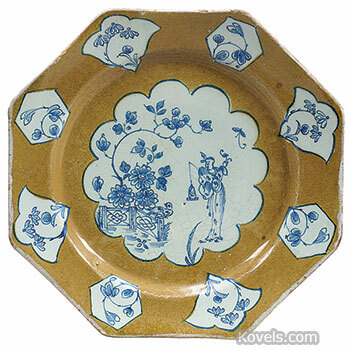 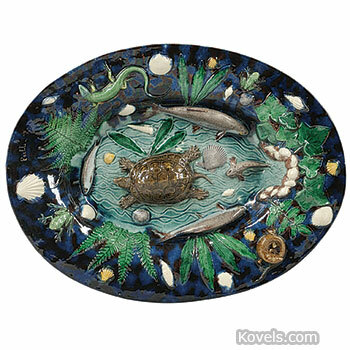 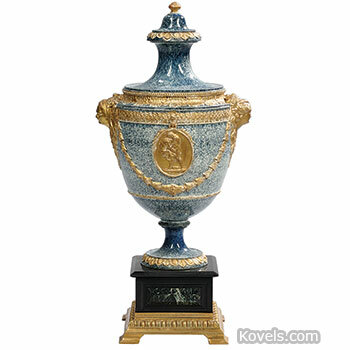 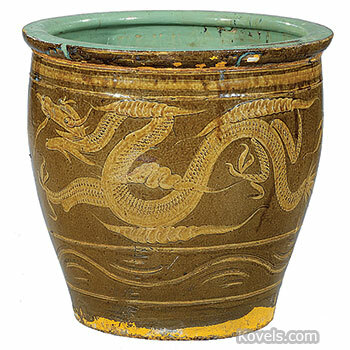 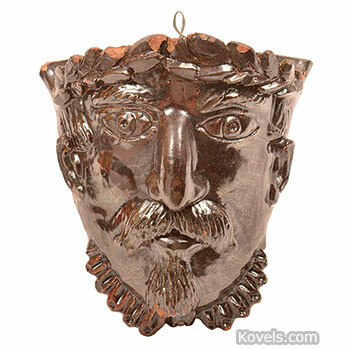 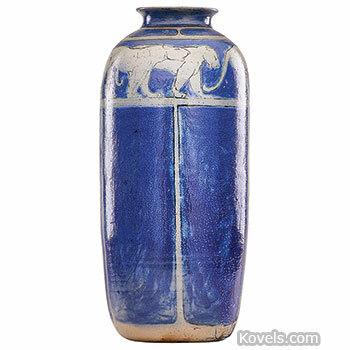 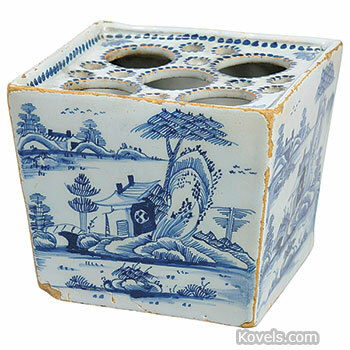 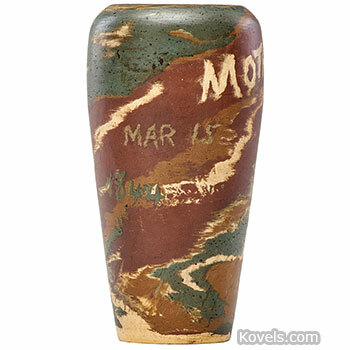 For information about pottery makers and marks, see Kovels' Dictionary of Marks - Pottery & Porcelain: 1650-1850 and Kovels' New Dictionary of Marks - Pottery & Porcelain: 1850 to the Present.